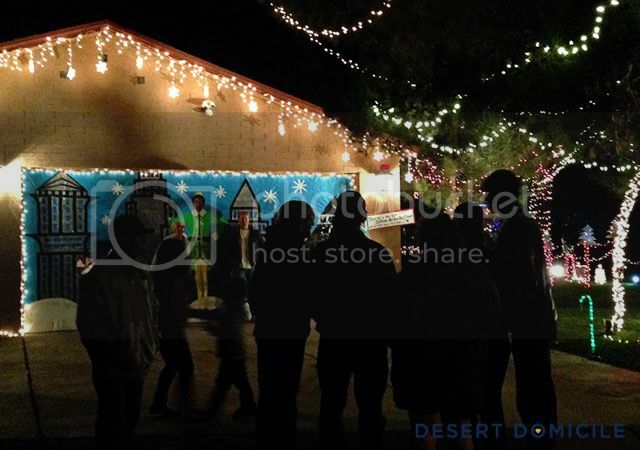 My boyfriend, his brother, and his brother's fiancée all went to our local festival of lights over the weekend. 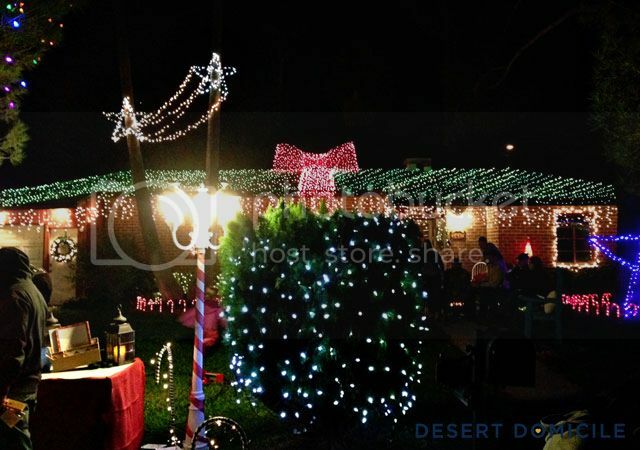 We're all transplants from the Midwest so Winterhaven is one of the only things that makes it feel like Christmas here in the desert. 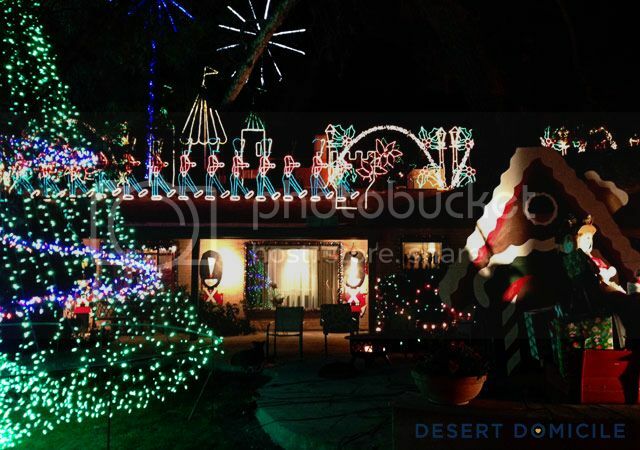 Most of the houses decorate, some more than others. 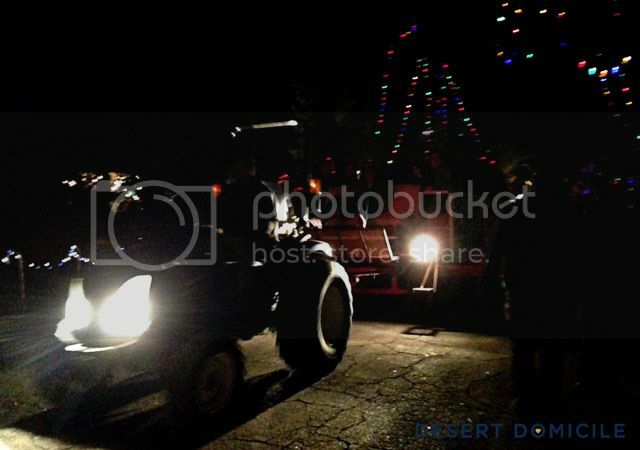 You can either walk through the neighborhood or reserve a ride on a tractor or trolley ahead of time. 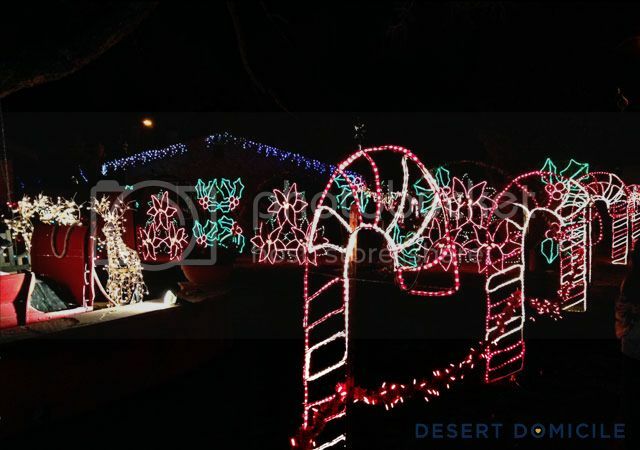 Some nights are even reserved for drive thru nights so you can enjoy the lights from the comfort of your warm car! They used to have horse drawn carriages touring the neighborhood but they stopped using them this year because of the crowd size they were expecting. They feared that something or someone would spook one of the horses which could cause an injury or death. It was sad not to see them there but it was nice not to have to dodge (or smell) the presents they left behind while we were walking! 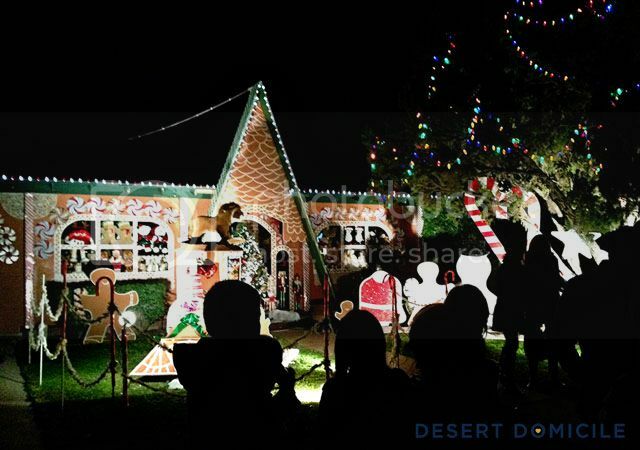 One of the roads that led to one of the cul-de-sacs off the main entrance had a massive blow up Santa arched over the road from sidewalk to sidewalk and was dubbed "Candy Cane Lane". This house goes all out every year. The nutcrackers were marching on their roof when we saw the house last year but they weren't marching this year. 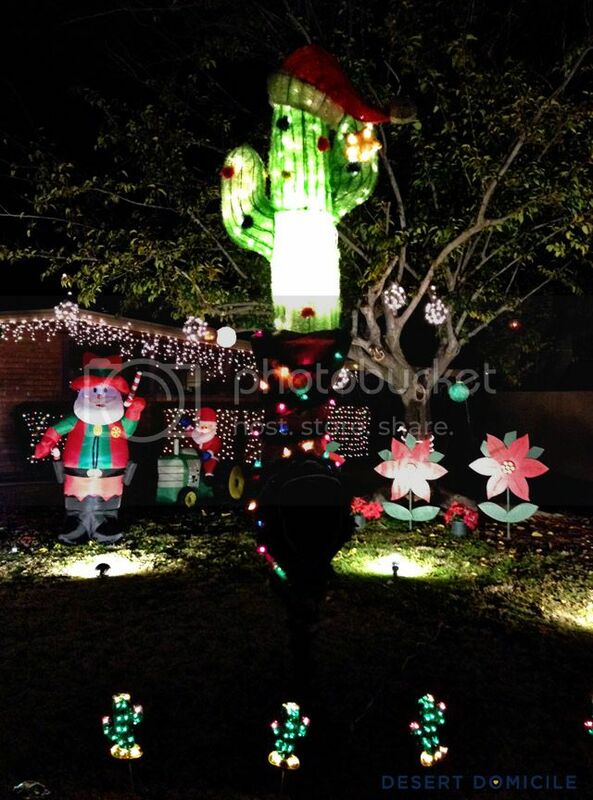 The house right next to theirs had this light up cactus sitting on top of their mailbox along with some cute cactus figures lining the sidewalk. I really liked the large lit up orbs they added to their tree as well. 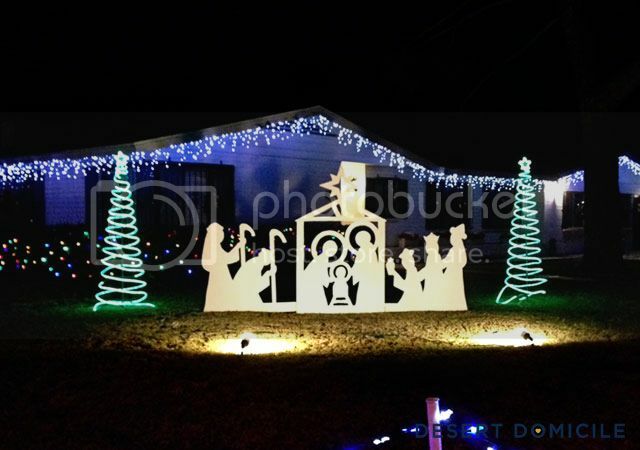 I really loved the modern nativity scene this house had out on display. It was simple and graphic and I couldn't stop staring at it. I loved how this home had turned their roof into a giant present complete with a big red bow. 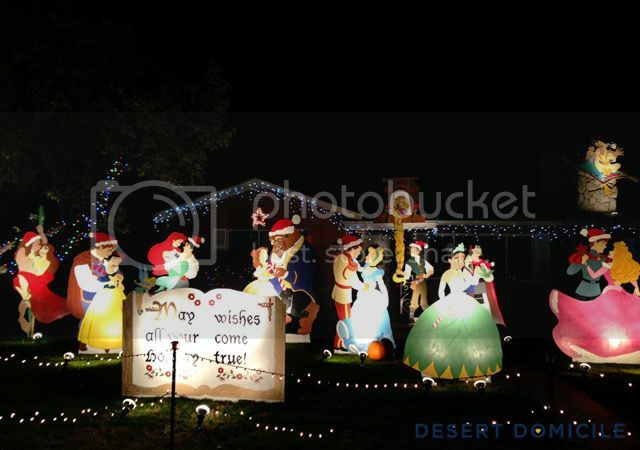 I also loved the Letters to Santa station they had set up in their yard (lower left)! Such a cute and creative idea! 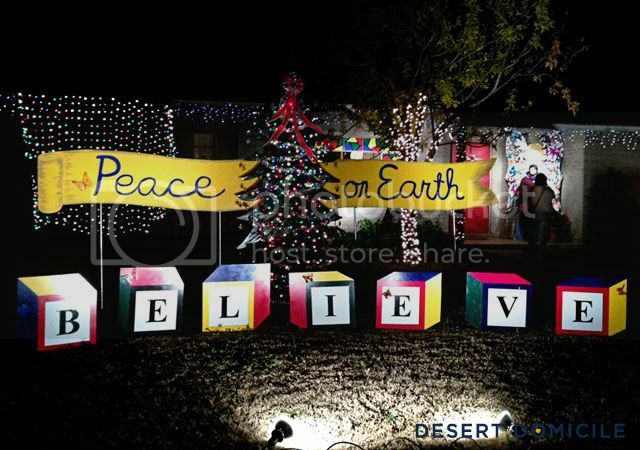 This home's decorations were fairly simple but offered a great message to remember. It's kind of hard to see but this home had a beach theme display. 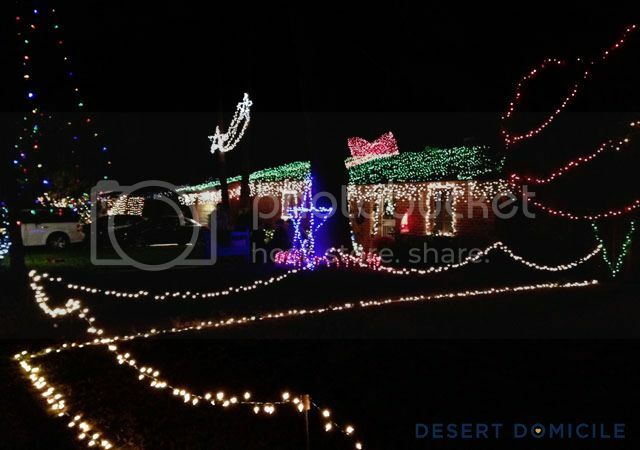 Their yard was covered in a blue tarp that had air blowing underneath it to mimic waves. 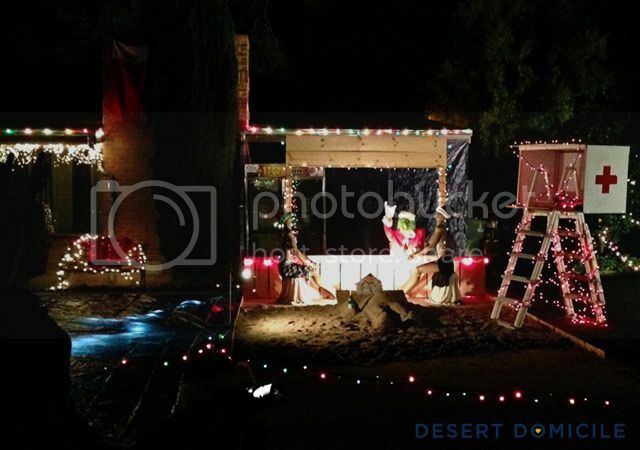 Their driveway featured a sand Santa and some beach babe mannequins getting a drink from the Grinch bartender! 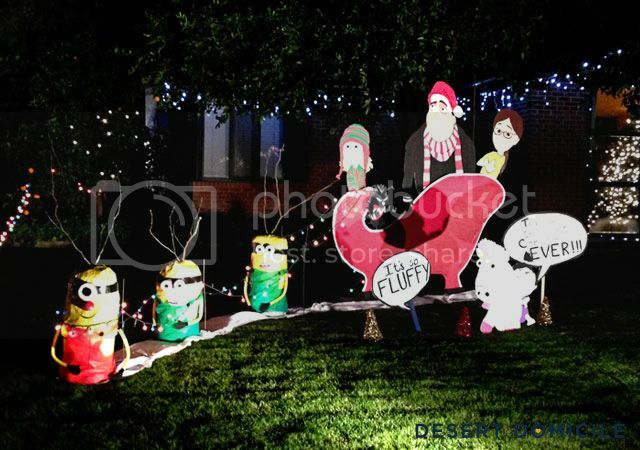 I think everyone fell in love with this Despicable Me themed home. The little minion reindeers were darling and the little "It's so FLUFFY!" girl is just adorable! 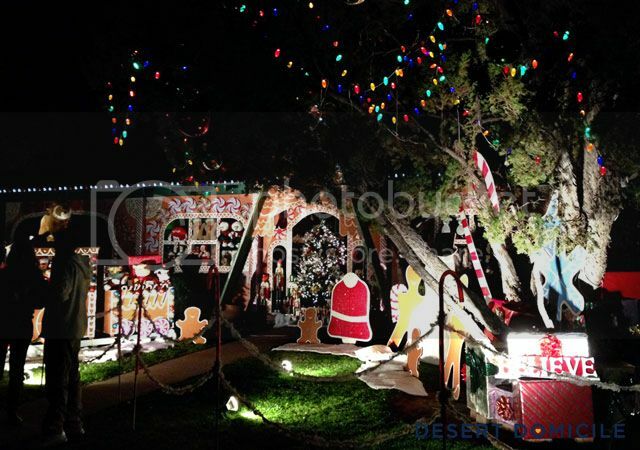 These homeowners transformed the exterior of their home into a gingerbread house. 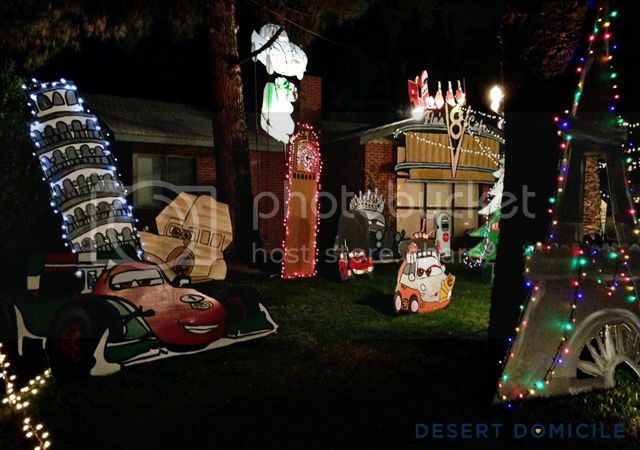 I love the massive cut outs they had on their lawn as well as the colorful lights in the tree. A few of the other memorable homes included one that was turned into Santa's workshop complete with Elf on the Shelf dolls "working" on toys. It had a conveyor belt connected to the workshop that was churning out all of the presents they had made. 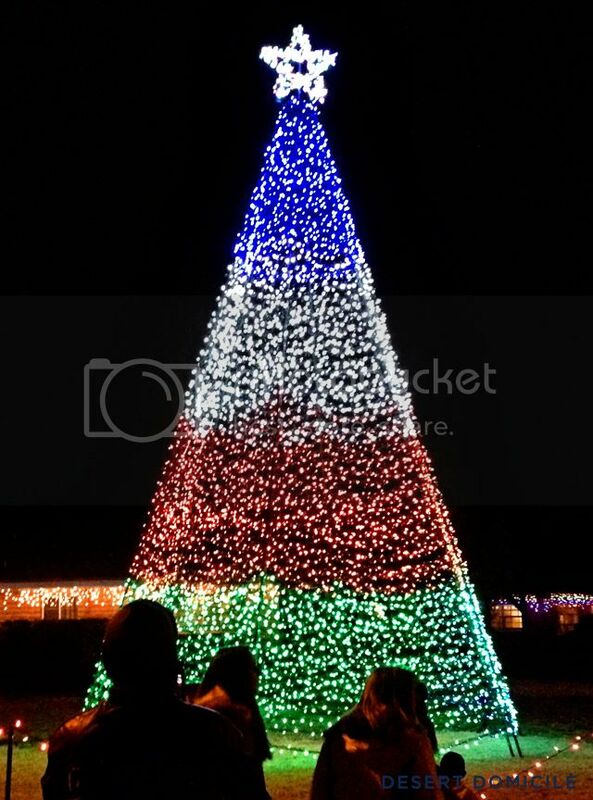 Does your city have a festival of lights? wow- what a beautiful place! i love light displays! That looks like it was SO much fun!! I wish we had something similar near me! How fun!! I love the cars themed house. It looks like these people put a LOT of effort into this! Wow, that's so cool! I wish there were something like that around here.